Wards Auto, an American-based organization that has covered the automotive industry for over 80 years has awarded the winners of this year’s 10 Best Interiors. With no restraint on pricing, these 10 vehicles bested 21 other nominees based on the following criteria: aesthetics, comfort, ergonomics, materials usage, fit and finish, and user-friendliness. Because of Wards’ no price cap rule, the list usually favors luxury and premium carmakers. However this year, the list is surprising because frequent winners Audi, BMW, and Mercedes-Benz are not anywhere on the list. In fact, among the premium brands, only Lexus has found its way into the winner circle. And among last year’s list of winners, only Honda and Mazda have gained favor from the editors of Wards for 2017. On the other end of the spectrum, the least expensive car, the Subaru Impreza “achieves a level of interior excellence never before seen from the Japanese brand.” Wards’ Auto says it’s easily the most improved interior in the compact car class and noticed the Impreza’s crisp displays, well-bolstered and highly ergonomic seats, and high-luster carbon fiber trim. Also worthy of mention is the Mazda CX-9. 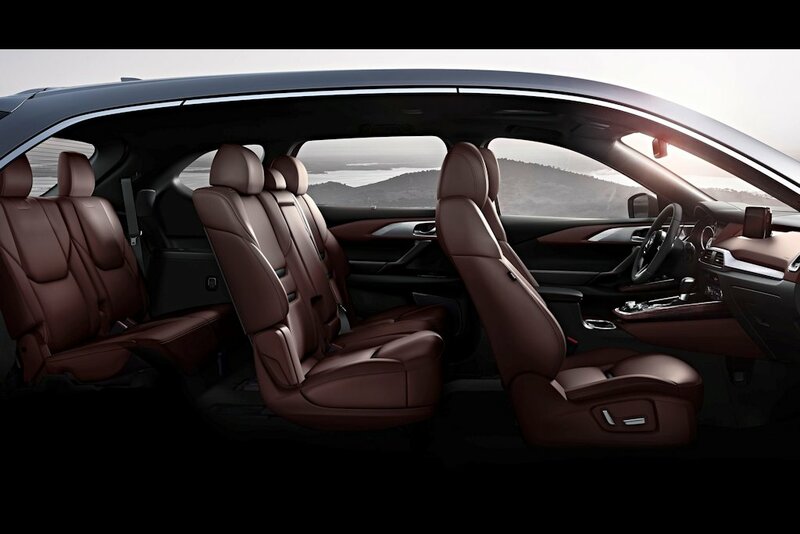 Already winning a slot in the organization’s 10 Best Engines, the CX-9 can also add a 10 Best Interior award to its list of accolades. Wards says the “CX-9 does everything a 7-seater passenger ute should do but with style and grace.” The organization praised its impeccable fit and finish, the use of real aluminum and rosewood, well-textured controls, and comfortable third-row. To the author, you should have included photos of each car's interior. About the article, while the Impreza and the Crv's interior are great, the Mazda 3 and CX-5 are equally if not more luxurious in design and ambiance. However, having 3 Mazdas in the list would look biased, lol. LMAO! Mazda fanboy thinks the automotive world should revolve around his beloved cramped Mazda. 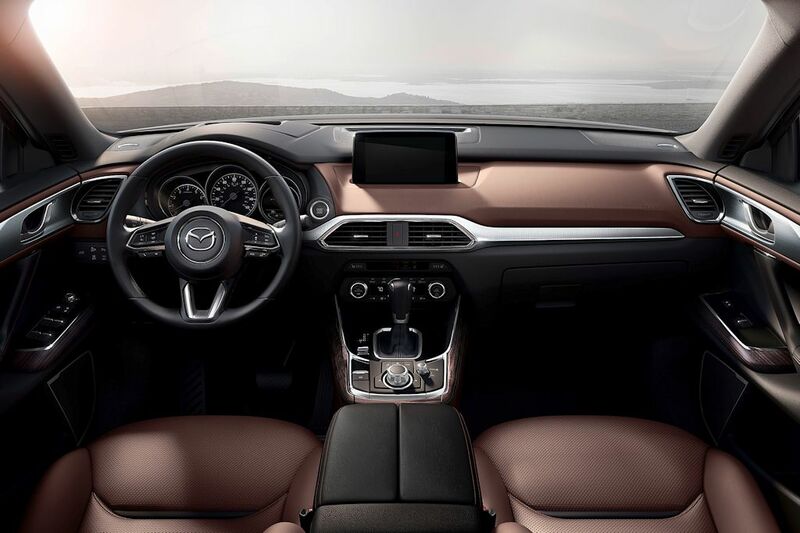 I'm just stating the fact that the Mazda models I stated above have great interiors. And yes at first the feeling of the lack of space is there but you'll get used to it and you would appreciate the overwhelmingly positive qualities. What do you drive anyway? The problem is you're insisting that they're the best when there's already a list. Your fanaticism has made you blind bro. Fanaticism? It's simply the truth bro. Dear Mazda fanboy, the Civic and Impreza already overtaken the interior design of Mazda 3. But between the two, Impreza > Civic. As with regards to the CX5, you may have a point there but we cannot question the judges. The Mazda 3 & CX5 having a tight interior already lose in the COMFORT aspect. Heck, its low rooflines will make you hit your head upon ingress and egress. You will immediately feel CLAUSTROPHOBIC upon ingress. Same case with the Mazda 2, CX3, a little bit on the 6. Aesthetics wise, its interior looks good but the tachometer is undeniably outdated. The Civic has the best tachometer in its class! Overtaken? I sat in the Impreza in the MIAS with high expectations and I was disappointed with its interior, looks plain. Yes, the Civic's tach looks great but the interior materials feel and looks cheap compared to the Impreza and Mazda 3 which both have high quality interior materials. The Mazda 3's seats are very comfy and has a great driving position but space is limited in the back. Not friendly for fat or tall people. As I said, you will get used to the claustrophobic feeling and appreciate the positive qualities of the car, especially if you're the driver. I drive alone most of the time, so the tight backseats doesn't matter to me, but will matter if you always have 4-5 tall or fat people. 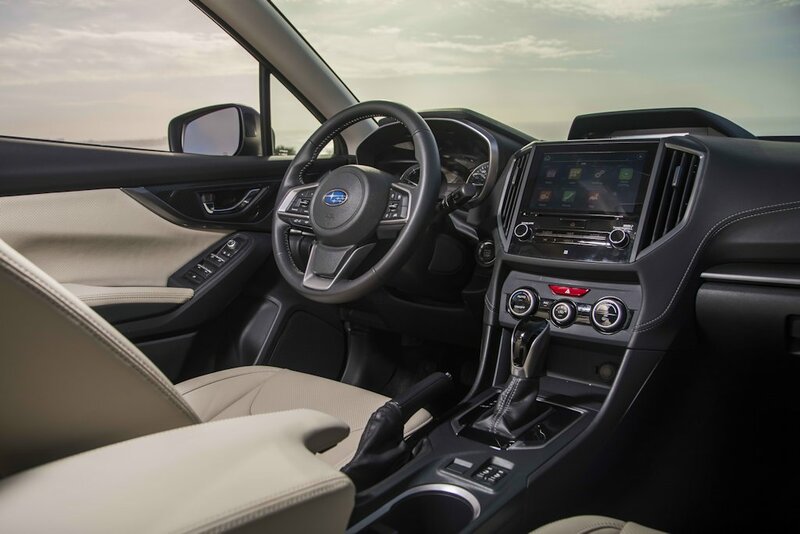 From your criteria, the Impreza will suit you best, but personally, my criteria puts driving dynamics first on the list as well as the aethetics and quality of the materials used. From the 3 choices, nothing beats the Mazda 3 in terms of its driving dynamics with the other two having CVTs which I don't like. And I'm 5 foot 10 and I've never hit my head going in and out. In terms of exterior design, the Civic looks too ricey, I don't like the front and is plain looking without the spoiler and other bits but the side profile is great. The Impreza looks too mature, too boring and plain, Subaru really never excels in design while the Mazda 3 strikes a balance of being sporty yet elegant which I like. First of all, it wasn't my criteria. It was the judges criteria as stated at the start of the article. You obviously don't put the positive traits of other vehicles first into a proper perspective, instead you blab about Mazda all day long. The Impreza doesn't suit me, simply because it's not my own criteria. If and when i'll purchase a Subaru, it will be a Turbocharged one and a model under the Subaru Global Platform. In that way, i'll smoke Mazda's all day any day. The Civic looks too ricey? It's plain looking without the spoiler? You might have forgotten, the Mazda 3 also has a ducktail (2.0R model) and it's also plain looking without it (1.5V model). And oh, the Mazda speed 3 sports all those bodykits and blacked out side mirrors. So who's ricey now? And to think, it has 153hp but is called SPEED. Mazda 3 as always, all show but no go. There's not turbocharged Impreza here, and the Mazda 3's ducktail spoiler isn't as ricey as the spoiler on the Civic. The 1.5V looks plain with the small 16 inch wheels and those bodykits and blacked side mirrors are well matched with the Mazda 3's body with a nice contrast between black and white or black and red. The 0-100km speed of the Mazda 3 is 7.5 secs, while the Civic does it in 6.6 secs. 7.5 secs to a 100 is not slow. Heck the Impreza is even slower at 8.8 secs. And if you rev the Mazda 3 2.0 and the Civic to 6krpm, the Mazda 3 has a better throaty exhaust sound compared to the Civic's so so exhaust. Interior pinaguusapan, bakit napunta sa 0-100? Anyway, don't argue with us about the best interiors. Ang kalaban mo yung judges. ^^ To Mazda fanboy, refer to the guy above. Your judgement has clearly been affected by your fanboyism. And to you Mazda fanboy, there is indeed no turbocharged Impreza here. You better learn and further study about cars before you bash. Ha ha ha! You're judging the Civic as ricey but your Mazda has more bodykits in it. The speed version even has a blacked out rims. Speed version but has a low hp and torque rating. That's the real rice. Rice rice baby! The judges has spoken. Whether you accept it or not, your cramped and girly Mazda 3 isn't included in the list. Period! Don't turn the tables, you were the first one to bring up the 0-100 argument. I'm not arguing with the judges, and as if you know more about cars than me, let alone if you even own a car. I haven't met anyone except you that says the Mazda 3 speed looks more ricey than the civic. The Black rims looks nice, not ricey. The big plastics on the front and the unsightly spoiler at the back. The rims doesn't look ricey though. And 153hp, 200nm of torque is not low, it is a respectable figure for a NA 2.0 engine. I'm accepting the judges decision but I'm just stating my opinion, there's nothing wrong with that, we are a free country, a country of bashers that is. Cramped, yes if you're a 6 footer or a fatty. Girly? It is a sporty and elegant design, far from the overdesigned civic. I brought up the 0-100 argument? Where in my previous post it was stated? You clearly don't read up, you didn't even read the criteria of the judges before commenting. Just for your info, i drive a 3.5 V6 mid size sedan but i don't shove it into other people's face like you. At the end of the day, the judges didn't pick your girly Mazda 3. Only a few girly ones like you would want a badly cramped car with bodykits to look speedy. Civic > Mazda 3 all day any day. You can eat its dust too.